This television horror/drama had conquered not just the American television but almost the world. It was originally a comic book series that entered the television world and was successful doing that. The stories runs around the story if Rick Grimes who is a sheriff deputy who awaken from a long comma only to find out that the world awaits him is full of zombies. As he looks for his family he meets other survivor too that makes the story more interesting and more fans starts to love this series. No wonder if one of your friends or family member loves this series or let me say turn out to be an avid fan of this television series. If you are looking into giving them a gift on their birthday or any type of occasion these gift ideas I found will delight them. 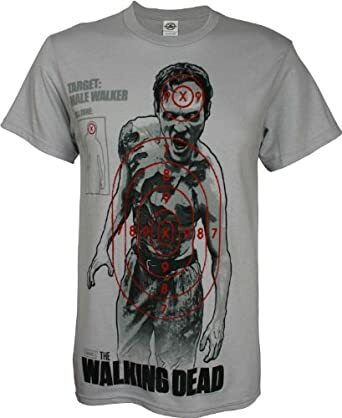 This official licensed The Walking dead t-shirt is made of 100% cotton, machine washable and with high quality screen printed design will be a great present to give a friend on any type of occasion. Its design has great quality to make sure that the colors won’t fade fast. It has a complete kill zones on the head and torso that is already highlighted for easy target! Your friend will love this gift idea for sure. For a zombie fan this gift idea will really hit the spot! 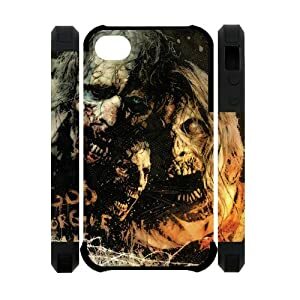 If your friend is really a zombie fan he or she will love The Walking Dead. He or she could have watched every series for the first series and up to the most recent one. He or she for sure knows that zombies can’t catch you fast because they can’t run fast, they only shamble. This is a must have for a true zombie fan. Better warn your friend that this compendium has 1088 pages so it is really going to be heavy. This is a new yet a classic style for an iPhone 4 and 4s. It displays an excellent craftsmanship and made of a high quality material for a slim fit style. One good thing about this iPhone case is it has a slim fit that almost feels like it is your iPhone’s original case though it doesn’t compromise the protection it will give your phone. It has a wonderful print and truly shows the pictures of zombies clearly. It is a spooky gift idea that will delight your zombie fan friend. Be a Walking Dead Survivor. The Walking Dead series is not actually about the zombies but the survivors of the aftermath of a zombie apocalypse. This Team battle board game will measure your wit and luck, and to test who will really survive the turmoil. Only the strong survive so the aim is win this board game. You can’t really live in the world of zombies bit in this game you can. Anyone who is an avid fan of this television series will love to have this as a gift. You can spend Saturday fright nights having fun with your friends playing this zombie board game. 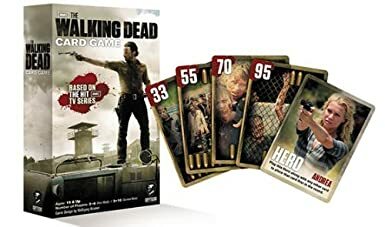 This is a must have for Walking Dead avid fans. This gift idea is an addition to their vast collection of The Walking Dead Memorabilia. Your friend is dreaming to have Rick Grimes to fill up their collection of the Walking Dead Characters. If you and your friend enjoy watching The Walking Dead Series definitely both of you will want to have this bobble head of Rick Grimes. It measures 7- inches tall, officially licensed and an amazing gift to give anyone who is a fan of The Walking dead series. If you are one of the characters in this series you got to have a strong cardio. You won’t survive a land full of zombies if you do not have enough carbs to load you up with energies you need for killing zombies. This is an essential gear for a Walking Dead fan. Pack your energy drinks, bacon and pasta and everything you need to fuel you up in one of your zombie fights. A true Zombie fan is ready for action anytime and anywhere. This lunch box can hold all the things you need to survive! Daryl is an original character in this series and doesn’t have a counter part in the comic series. He became popular ever since he appeared on the early season of The Walking Dead. He is a hunter and great tracker. He became Rick’s right hand man and protector. 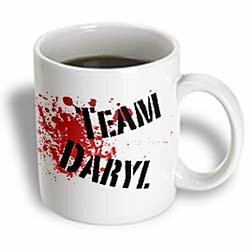 Someone you know who loves this TV show knows him really well and this gift idea will make his or her morning have taste of thrill from The Walking Dead TV series. This zip hoodie is made of cotton and polyester to protect you from cold wind. It is officially licensed “The Walking Dead” collectible items that any fan will enjoy to have. 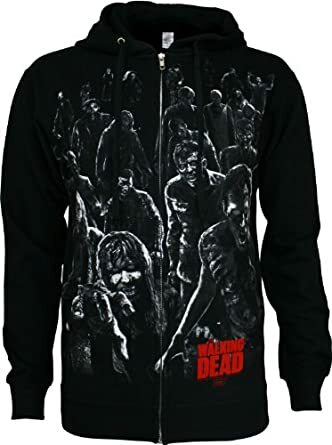 It is made of high quality material, machine washable and it has a screen printed design that will definitely bring out the Walking Dead feeling! The style and color looks cool as well. You will never go wrong with this gift idea. 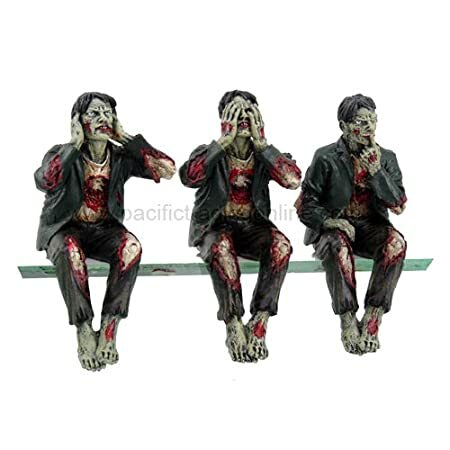 Isn’t cute to see these zombies sitting on top of your computer and most probably your friend who is a Walking Dead fan will like this too. These figurines are made of premium Grade cold cast Polyresin. It comes in three statues and measures 4” tall. It is hand painted and polished for a meticulous fan like someone you know. Each statue comes with a double stick tape to make sure the statue is on its place and won’t fall. It is fun to share happiness and time with your friends. This game card can be played by 2-10 players and takes around 10-30 minutes to play the game. This is perfect for Saturday nights with friends or family. This can also be given as a gift for a friend or a family member who loves the series as well as Daryl. Have fun playing a rare type of card game. It is fun to play a not so ordinary game card with friends and people you wanted to spend time with or better yet give this a gift.